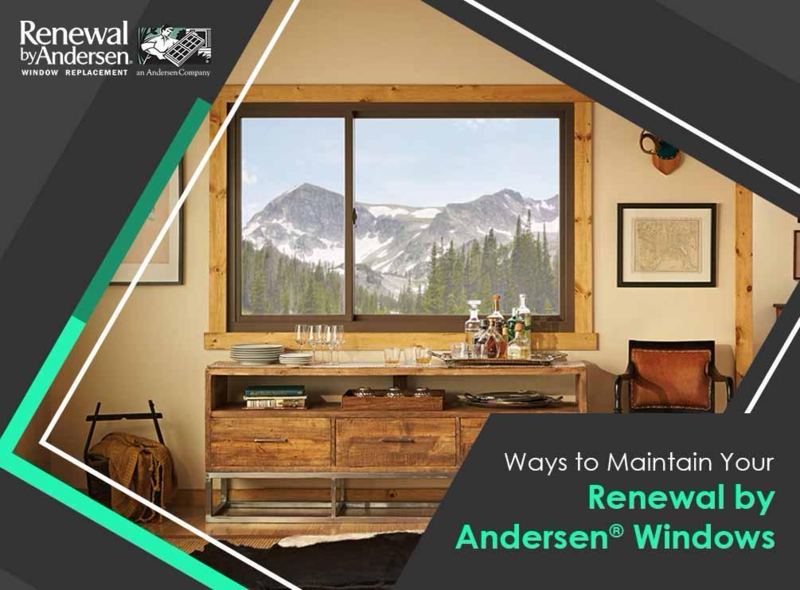 Renewal by Andersen® of Spokane values our tradition of craftsmanship and innovation, which is why we continually strive to create high-quality installation windows that will stand the test of time. We utilize cutting-edge technology to create exceptional products that live up to our promise. That being said, even our high-quality windows can benefit from periodic maintenance. Here are some tips on keeping your Renewal by Andersen products in prime condition for many years. Right after manufacturing, we apply a thin, transparent sheet on both the exterior and interior sides of the conventional or specialty windows to protect the glass. This protective film ensures that the surface of the glass remains unscathed during shipping and installation. Peel this material within nine months of installation or when the temperature is above 32 degrees. Clean your windows when you notice dirt building up on the sills and tracks. This helps the windows operate more smoothly. You should also pay attention to the frame, sash and grilles. Clean these components using a soft rag or brush and a mild solution of soap and water. Use a dry lubricant to grease the moving parts of our casement windows and other window styles. Do not use abrasive cleaners, which could chip the surface of these components and create debris, interfering with operation. Simple, routine maintenance can extend the service life of your window hardware. Use a soft cloth with a mild detergent and water solution. Again, refrain from using harsh cleaners or brushes. When it comes to your window replacement needs, Renewal by Andersen of Spokane is the name you can trust. Call us today at (509) 202-4090 to learn more about our exceptional services. We serve residents of Spokane, WA, and nearby areas. "From the salesman Matt, to the measuring and then the installation, All were very knowledgeable about the product. We made some changes to our initial order while Jerry was here doing the measuring, He was patient and answered all our questions. The installation crew Adam, John and Josh went above and beyond to make sure the installation was clean and went smoothly. They ran carpet runners everywhere and cleaned there areas as the job progressed. When done clean up was well done and the walk through was a breeze. Highly recommend these guys.!!"